I oppose the Region's plan of taking the vote there first; it settles the decision and renders a later Burlington council vote irrelevant. EDA consultants have been hired to prepare a comprehensive background report on the history of the beach, environmental aspects, early vision for the area, and other matters. EDA did some work on Beachway in 2005, including public engagement. The report will include a detailed scientific analysis of the dynamic beach and flood plain, work which has recently been updated and completed. Independent consultants have been commissioned to undertake “drive by” appraisals of the remaining homes in the area and provide both a “high” and “low” estimate – the high number would assume upgrades to the property; low would assume no upgrades. The appraisals will provide a rough estimate of the cost to acquire all the remaining properties should regional council pursue that path. Cole Engineering has been commissioned to provide a servicing report that would outline costs to connect stormwater and wastewater management to traditional municipal services, and will also assess and cost a range of other options for dealing with servicing (for example the E1 system), should the residential community stay. Regional staff will compile the data from these independent reports and present recommendations to Regional Council for a decision (Burlington Beach, which includes Beachway and downtown Spencer Smith Park) is a regional park. The reports are expected to be complete by December, with a vote expected in early 2013. The current park plan calls for the region to acquire all the homes on a willing buyer/willing seller basis, then turn the entire area into parkland. Many of the residents who live there have said they want to stay – part of the master plan review process is to settle that issue. The city of Burlington’s plans recognize the existing residential community, though don’t allow it to be expanded. As a community, we need to decide whether we want a park without residential (or retail/commercial activity) or whether a park can coexist with low-density, sensitive residential/retail uses. Several Burlington councillors, including myself, are open to a park plan that includes residential/retail uses. The final decision on the park will be made by the 21-member regional council (all 7 Burlington councillors sit on regional council). It’s important for our council to come to a position on the beachway park first, before the vote comes to regional council, so regional councillors can benefit from learning the local perspective. However, the region’s proposed process is to flow the vote through regional council first, then Conservation Halton, then Burlington city council, a move I oppose. As regional council is the final vote on these issues, taking the vote there first settles the decision and renders a later Burlington council vote irrelevant. Though regional council has the final say on what happens at the park, on other matters where that is the case (our city’s Official Plan for example) the vote normally proceeds first through the local municipality then to regional council. This sets a tone and provides an opportunity for the local municipality to lead and guide discussions at the Region, and it’s the pattern we need to follow for this critical discussion, also. At a recent public meeting on the beach strip, attended by some 60 residents from across the city, staff collected more than 28 pages of comments. There were some common themes: residents want an expanded, paved walking path, with separation between pedestrian and cycling activities; residents want the beach animated with activity – boating rentals, food and beverage service, enhanced parking. There were also comments about clearing brush and cleaning up the appearance of the beach vegetation. Recently, citizen members of the council-appointed Burlington Waterfront Access and Protection Advisory Committee discussed the Beachway master plan. The unanimous view of members, who represent all wards in the city, is that they were comfortable allowing a residential community in the Beach. 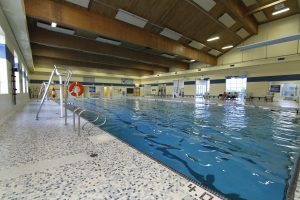 Among the reasons: the homes do not impede public access to the waterfront, or the walking paths, as they are located on either side of Lakeshore Rd; the homes contribute vibrancy to the area, and “eyes on the street;” the cost of acquisition is too high, and there are other priorities for that money. 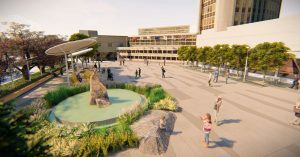 The waterfront committee is working on a formal recommendation for council once the reports are released, prior to the sunsetting of the official committee at the end of December. Previously, the committee brought a successful recommendation to council to explore food and beverage uses for the historic beach Pump House. In addition, the committee has expressed support for Freeman Station being eventually relocated somewhere on the beach and opened for public access. 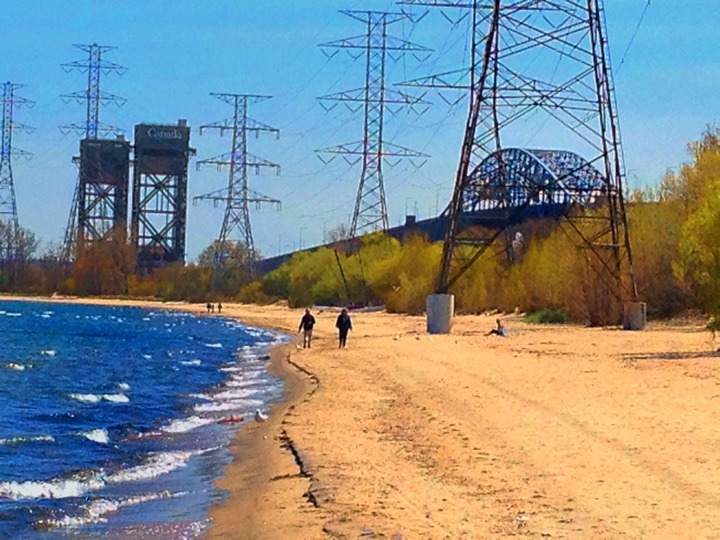 The committee has also discussed the feasibility of moving the hydro wires along the beach. 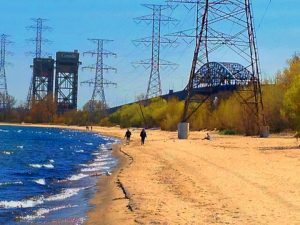 Burlington Hydro has asked Hydro One to look at the feasibility of relocating the hydro towers off of the beachstrip. That study is currently underway, and will take about 6 months to complete. Citizen members of the waterfront committee have unanimously agreed to continue their work, with assistance from my office, following the Dec. 31 sunsetting of the official committee. Meetings of this citizen’s group have already begun, monthly on Tuesday evenings, and these are open to the public. The group is also recruiting new members from across the city. If you’re interested in serving, please contact my assistant Georgie at gartsideg@burlington.ca for an application form. Your Take: What would you like to see for the Beachway Park? Please comment here or email me at meedwardm@burlington.ca. My Take: My goal for our waterfront is to ensure increased or enhanced access for the public. It’s through that lens that I consider the issue of retaining a residential community in the Beach.The private homes in the Beach area do not in any way impede waterfront or beach access for the public; they also add to the vibrancy of the neighbourhood. I am comfortable with a park plan that includes a residential component, and am supportive of continued efforts to animate and bring activities to the beach. David Crombie, who among other things is the founding Chair of Toronto’s Waterfront Regeneration Trust, visited the Burlington waterfront advisory committee earlier this year and advised us that waterfronts need activity and adjacent residential and commercial uses. You don’t want barren parkland, he said. When I lived closer (Elgin and Maple) I spent a great deal of time there. I think it would be best if it was one complete park only with no private residents. It would appear that “even though they had a 99 yr lease they are still there”??? It may be near to impossible to remove them. I think more parking and cleaner beaches are required. If there is refreshments from the pump house so be it. One problem is..how long before the Halton Conservation authority will accept all of the requests that have been placed before them? Next Problem, will there better police presence in the future? When you consider the volume of people there needs to be presence of authority figures to keep control. Third problem, the Freeman station is now (or will be soon) better protected from vandals. If and when it moves to the beachway area it will invite vandals of all ages and descriptions. How long before all of these things fall into place? I personally see a minimum 10 years to possible 15. Can Freeman wait that long? Maybe a better place needs to be found. Overall the plan appears good for the beachway but the public needs to be informed as to a more accurate estimate of time for it to be completed. I have already given you my take on the time needed to “put this all together”. I enjoy cycling and walking along the beach front, and have for 36 years. It is a real jewel, in all seasons. I think that the residences add to the ambiance and am glad that residents’ pride in their homes and neighborhood keeps our park inviting. So let’s encourage people to stay in their homes.